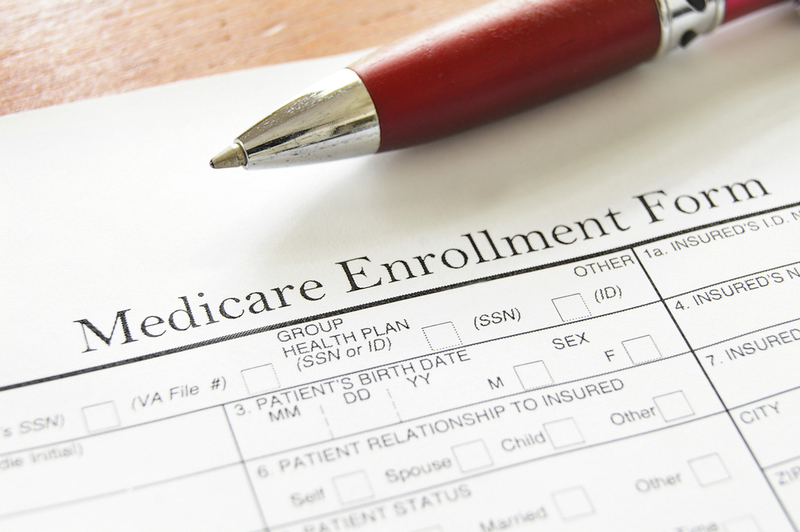 Medicare is paying for chronic care management! Here's what you need to know. Medicare is paying for chronic care management! Here’s what you need to know. The Medscape Physician Compensation Report puts primary care physicians at the bottom of the heap, with a median earning of less than $200,000 per year in 2014. What if the largest insurer of older Americans took those numbers to heart and decided to give primary care a pay raise of 25 percent, in recognition of and better support for the hard work involved in caring for the very old and the very sick? This is the general idea behind the brand new chronic care management (CCM) fee introduced by Medicare on January 1st 2015. Three cheers for Medicare! Unfortunately, Medicare structured its fees based on the now prevailing assumption that all doctors are charlatans, and hence every penny paid to them must be justified by at least one thousand pages of legal size, single spaced, dated and notarized documentation, or the electronic equivalent thereof. Furthermore, as is customary in our nation’s capital, every law or regulation that may be beneficial to the public, comes adorned with a wealth of gifts for special interests, which often render the original intent null and void for all practical purposes. The CCM is no different. Medicare could have settled on a simple capitation fee for chronic care to provide payment for currently uncompensated care management and to expand such services to patients who can benefit from additional attention. By piling on reams of preconditions and micro-specifications, Medicare all but ensured that none of the money it plans to spend on CCM will actually benefit chronically ill patients. Complex regulatory frameworks benefit those who provide services to alleviate administrative complexity, in this case, computer and software vendors, and garden variety consultants turned experts at chronic care management practically overnight. However, with a little bit of ingenuity, you can get and keep some of the CCM money, and with a bit more effort, actually use it to help the sick, if you are so inclined. The first and most important thing you need to know is that if something sounds too good to be true, it usually is. The bogus CCM calculators you see on vendor websites, advertising that you can make a quarter million dollars per year in CCM fees are completely false, unless of course you are willing to fraudulently bill Medicare for CCM services, and even then, the projected revenues are overstated. Medicare will pay you approximately $40 per month for at least 20 minutes of non-face-to-face care management activities performed by clinical staff (including MAs) for patients with at least two severe chronic conditions. The fee is subject to standard copays and deductibles, and the service requires informed consent from the patient, above and beyond the general consent for treatment that you already have on file. CCM fees are for traditional Medicare patients only, and only if you bill under the Medicare Physician Fee Schedule (community health centers and rural health clinics are currently excluded). Unless you are a geriatrician chances are that you will not have 491 traditional Medicare patients with two or more chronic conditions that “place the patient at significant risk of death, acute exacerbation, decompensation or functional decline,” and even if you do, many will be under the management of one or more specialists. Specialists can also bill for CCM, and only one physician can bill in any given month. From whatever number of patients you come up with, you should subtract those who will not consent to such nebulous service. Then you have to account for the copays you will not be able to collect, and the months when those presumably very sick individuals are discharged from a hospital, and you bill the much higher transitional care management (TCM) codes instead. The bottom line is that if you get an extra $60,000 per year in Medicare CCM fees, you should consider yourself very lucky. To obtain this revenue, you will have to incur additional expenses. A good chunk of those expenses will be sunk costs if you are routinely managing your sickest patients pretty well. The added expenses involve mostly tracking time and billing, both of which can be optimized with a bit of Yankee ingenuity. You should be able to keep approximately $45,000 per year, if you have 150 consenting patients who fit the CCM requirements (or $300 per patient per year). You need not attest to meaningful use, but you must have (and use) a meaningful use certified EHR. This is just a small gift to the tech industry. You must have a care plan for each patient that your staff (and your staff only) can access online at all times. You must provide these very sick patients with a way to access you or on-call staff (a person, not a machine) 24/7. You should have a reasonably accessible schedule for in-person appointments, such as same-day availability. Although, Medicare does not specifically mention this, it would be very helpful if you were able to establish good channels of communications with hospitals, specialists, home-care agencies and long-term care facilities. You will also need a good amount of patience and a sense of humor, but you will not need more expensive technology (e.g., population management, analytics, etc.). I am certain that as you read this, you can come up with ten or twenty patients who fit the Medicare criteria, off the top of your head. That’s as good a place to start as any. Make a list of CCM candidates. Keep it small, particularly if you have minimal staff and if the patients are very sick. You could select by disease type, or better yet pick patients for whom you already provide significant amounts of uncompensated care between visits. Use this group as your pilot experiment. Schedule appointments with each one and obtain consent for CCM from as many as possible. Update, or formally create a care plan for each one. Hand them a copy (paper is fine), and place a copy in your Internet accessible EHR. Make sure that whoever takes call after hours has access to the EHR from home. Now comes the hard part. You need to track the time you or your staff spends interacting with each patient, or on behalf of each patient, each month (office visits excluded). You could simply use a paper timesheet, or you could find a way to use your EHR. Here is an idea that even the dumbest EHR can accommodate. Start a visit note for each patient on the 1st of each month. Leave it open and keep adding a brief note to it (including amount of time spent), each time you or your staff do something for the patient. Add the pertinent ICD codes and the CCM CPT and sign all the notes at the end of the month. Your biller can take it from there. Revise and tweak your process to make it as efficient as possible. This is why you should start small and grow the program over time. Twenty minutes is not a lot of time. One call with the patient (or caregiver) may just fill the entire allotted time. Other activities that are beneficial and can be counted are, talking to specialists, obtaining and reviewing consult notes and test results, arranging referrals, coordinating with home-care, reconciling medications and pretty much everything you usually do for these patients. Run your little pilot for a few months and see where it takes you. You have nothing to lose, and may end up pleasantly surprised. Billing Medicare for CPT 99490 is cumbersome, but it is not as difficult as you are deliberately being led to believe. The Medicare CCM regulations were written in a way that allows, and encourages, outsourcing of services to third party vendors. The “market” responded with a wealth of fancy semiautomatic software products purporting to manage chronically ill patients remotely through interactive apps and “clinical” reviews of collected data. The going prices for these “services” are approximately what Medicare pays you, minus the copay, and you still have to do the actual billing. It’s a horrendously bad deal from a financial perspective, but it’s an even worse deal from an ethical perspective. You should not outsource the management of your most complex and most vulnerable patients. You should not allow yourself to be used as a conduit for diverting Medicare funds to technology companies. Signing up a frail 85-year-old gentleman with heart disease and Alzheimer’s for a monitored iPhone app, may meet the Medicare CCM regulations, but most certainly does not meet the clinical definition of care management. Chronic care management is not a $17 billion market. It is the ethical practice of continuous, comprehensive and compassionate medicine. If you outsource that, you might as well outsource your professional license and your very own soul. Margalit Gur-Arie is founder, BizMed. She blogs at On Healthcare Technology. < Previous post Can a surgeon operate while sitting down? Next post > Med students are marginalized in the hospital. It’s time for that to stop.